When we create an application on Google App Engine, we are essentially creating a domain from where the application can be served. 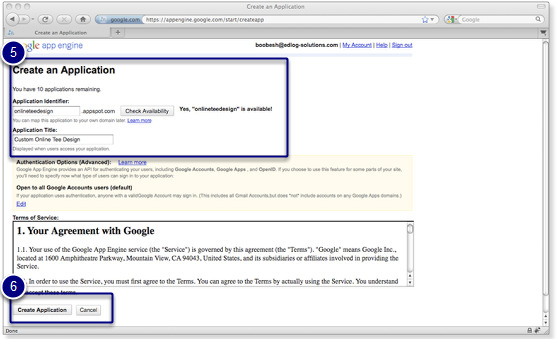 Google allows you to serve your application using a free name on Google’s appspot.com domain. 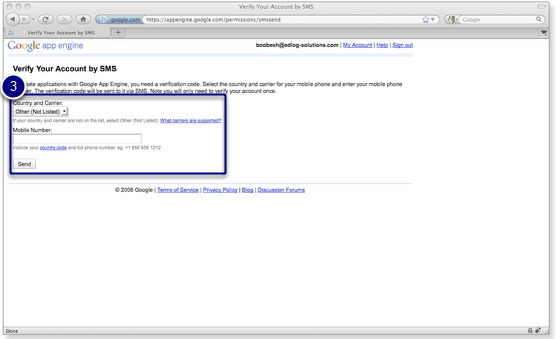 Alternatively, you can serve your app from your own domain name using Google Apps. If you are creating an application on Google App Engine for the first time, you will need a special code to create your application. This verification code will be sent via SMS messages to mobile phones. 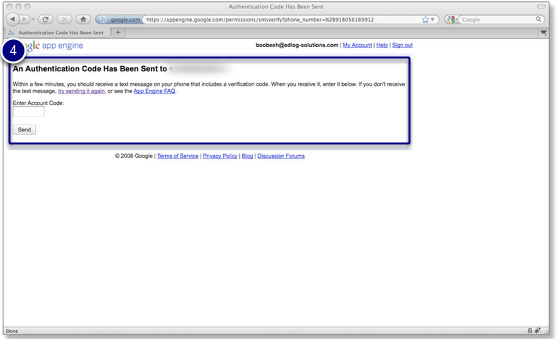 You can then verify the account by signing into your administration console. 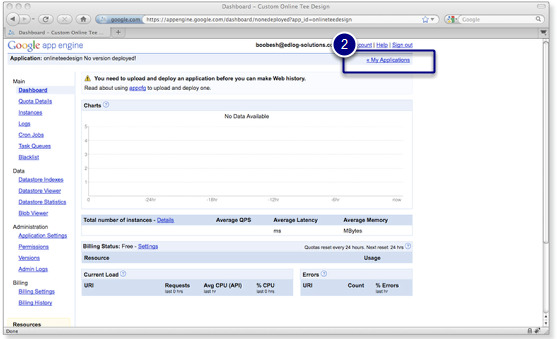 How do I create an application on Google App Engine? 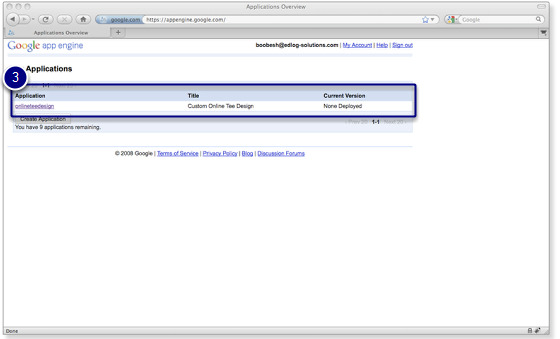 Let’s create an application on Google App Engine so that we can deploy and explore the template application. 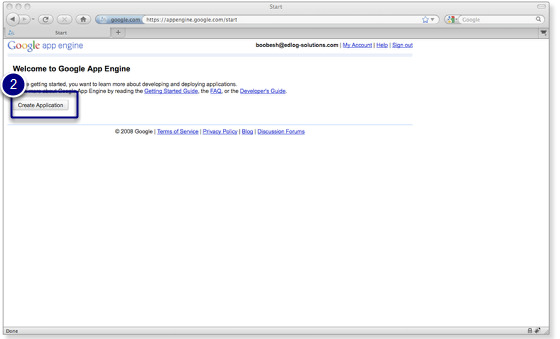 Log into Google App Engine. Click on the "Create Application" button. Select the country and carrier for your mobile phone and enter your mobile phone number. Click on the "Send" button. Enter the verification code that was sent to your mobile phone number and click on the "Send" button to verify your account. Enter the application identifier (which must be a unique name) and application title. Accept the terms of agreement and click on the "Create Application" button. “Application Registered Successfully” page will be displayed. The application can be uploaded and served from the newly created domain for the application. 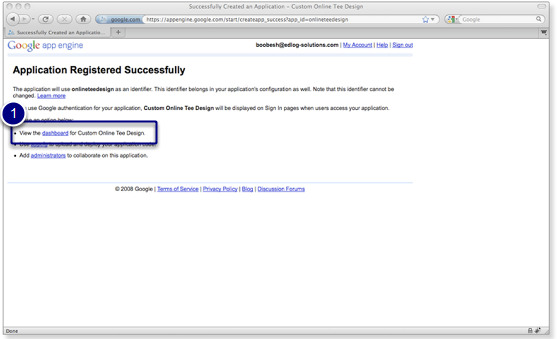 You cannot directly navigate to "My Applications" page from "Application Registered Successfully" page. 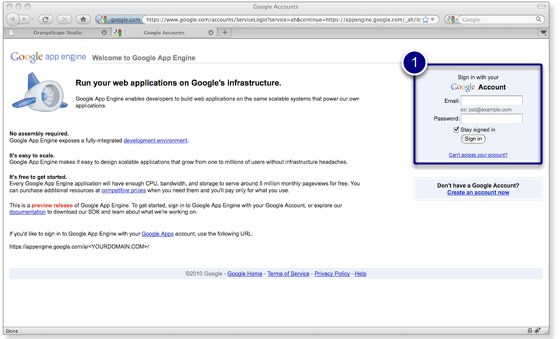 If you want to, then either you could logout and login again to Google App Engine or follow the steps below. Click on the "dashboard" link. Click on "My Applications" link. Application details will be displayed in the "My Applications" page. You have learned to create an application on Studio and Google App Engine. Since the deploy feature is part of the core Studio functionality, we will take a brief tour of the Studio before we try to deploy the template application on Google App Engine.